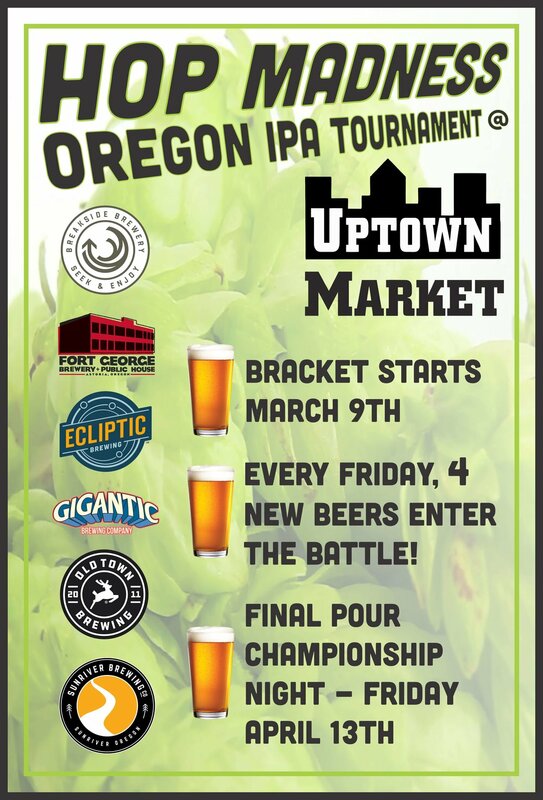 Hop Madness Oregon IPA Tournament All March!!! — Uptown Beer Co. Hop Madness Oregon IPA Tournament All March!!! Come down to either location and get a special IPA taster and vote for each match up! Grand Re-Opening This Saturday 2.24.18!